I cannot believe how long it has been since I wrote a blog post. How did I let that happen? It isn’t as though I haven’t been doing some knitting, albeit really boring knitting, or spinning–lots and lots of spinning. So, here’s a quick catch-up. The kitchen remodel still isn’t done. It was a year ago February 12th, I think, that we signed a contract to have our kitchen remodeled. The job was supposed to be started right away and finished in 3 to 4 weeks. After more than a year, we finally terminated the contract and are now in the process of getting bids to get the work finished. All that’s left to do is the tile backsplash and some trim work. After some back and forth wrangling with the contractor from Hell, we finally gained possession of the tile and got him out of our lives forever. I’m hopeful we can have the rest of the work finished before the end of April, and then we can move on to other parts of the house. 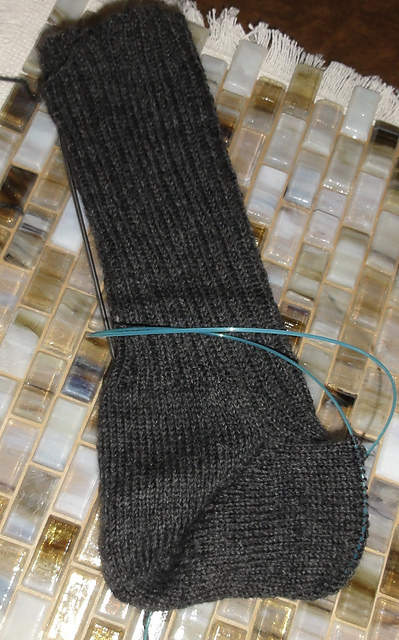 My knitting mojo has been in the doldrums. 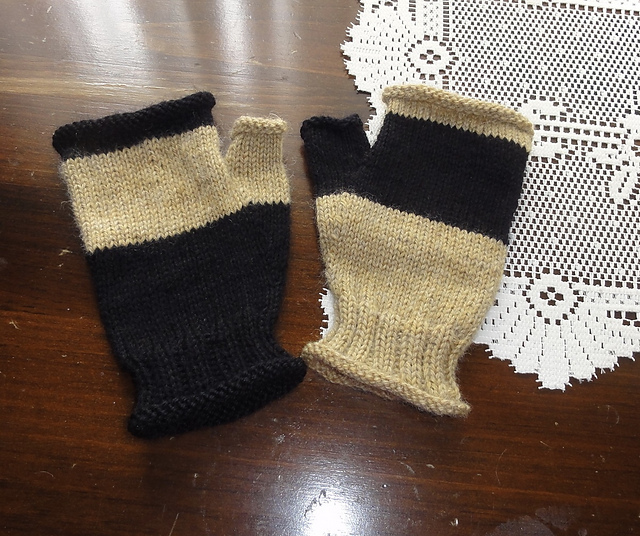 I’ve finished some fingerless mitts and a scarf knitted out of handspun. I have a custom-order scarf nearly finished, too late for the recipient to wear this winter (it will be Spring in a couple of days), but in plenty of time for next winter. And I have a pair of plain vanilla socks OTN. I need to start an interesting knitting project, but I just can’t decided on anything. Spinning is a different story. 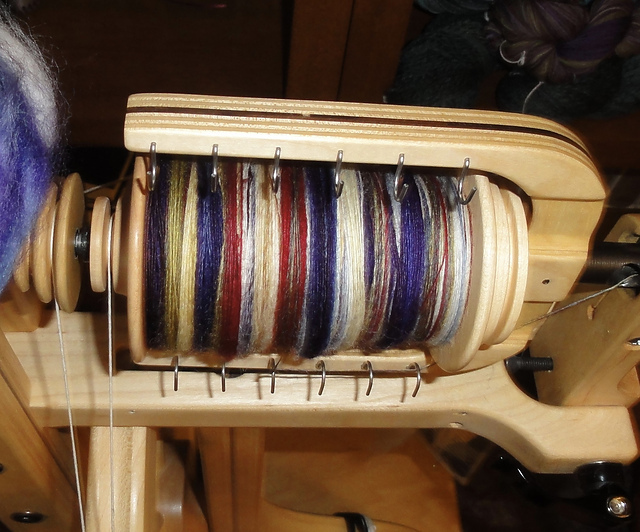 I’ve been spinning up a storm. 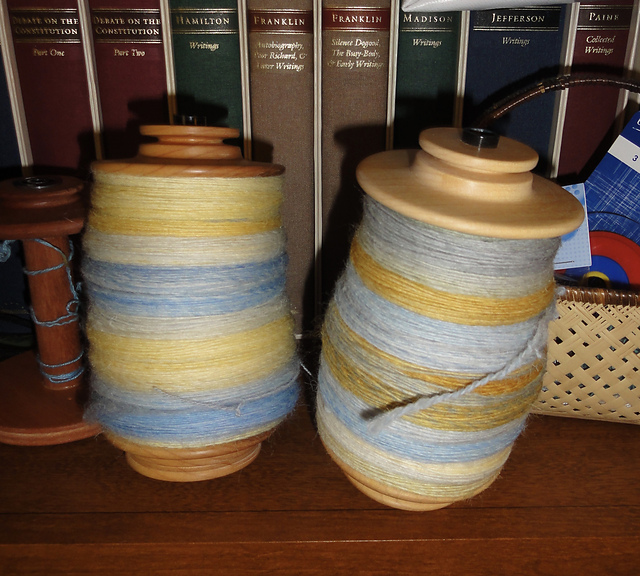 I currently have 8 ounces of handspun 2-ply yarn resting on bobbins, ready to be wound off on the niddy noddy, two bobbins of singles resting and waiting to be plied, and another bobbin of singles-in-progress. And I have at least eight other skeins of handspun completed so far this year. Here are pictures of a few of the finished items linked to the appropriate Ravelry project page, in case you are interested in the details. Shades of Green Handspun Scarf while still in progress. I haven’t take a picture of the finished scarf yet. 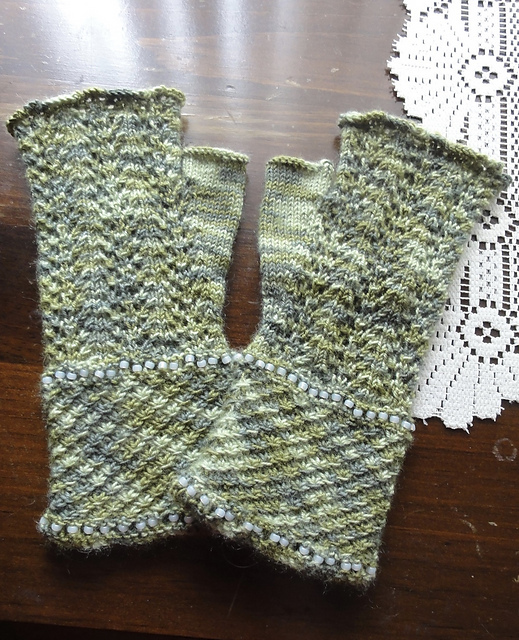 This entry was posted in Fingerless Mitts, Knitting, Socks, Spinning and tagged Yarn Harlot Handspun Scarf. Bookmark the permalink. You have been busy and creative. I love the color of that scarf. Thank you. The yarn was spun as a fractal, and I think the striping effect came out quite nicely in the knitting.